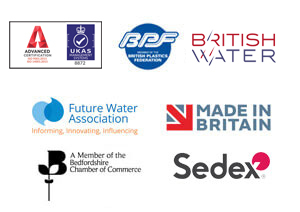 Severn Trent Water Limited (STWL) is a regulated business with responsibilities for the provision of water and sewage services to over 8 million people in an area stretching from the Severn Estuary to the mouth of the Humber. The existing landfill leachate treatment plant at Nantycaws was failing to meet the consent levels, and Carmarthenshire County Council was tankering on a daily basis. The Council was therefore looking for a robust treatment solution that would meet the EA consent requirements and reduce the frequency of tankering. WPL were challenged with the task to design and manufacture the largest bespoke modular steel wastewater process solution (N-SAF) the company have ever supplied. The unit had to handle 50 l/sec FFT, almost twice the average, so something out of the ordinary was devised. Warden Filter Media is patented and design registered. Bioelements, Biomarble and Bionet are trademarks of Warden Plastics Ltd.
© Warden Plastics Limited 2016. Designed By Archaea Mass. Terms & Conditions. 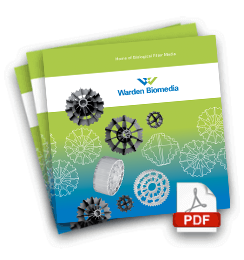 Download the Warden Biomedia brochure.